Alexei graduated from the Southern School of Natural Therapies with a degree in Clinical Myotherapy, gaining a thorough understanding of musculoskeletal conditions and employs a range of treatment modalities in order to assists in the recovery of his patients to a state of pain-free function. In addition to the benefits of manual therapy Alexei strongly believes in the body’s natural ability to heal in response to physical exercise and therefore also incorporates a patient-specific, and progressive, exercise program to aid recovery. 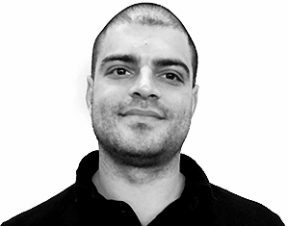 Alexei has a passion for helping people with a range of musculoskeletal issues, incorporating a thorough physical assessment to guide treatment, and has a special interest in shoulder problems due to his personal experience with multiple shoulder dislocations. Alexei is passionate about weight training and playing golf, and his own rehabilitation has given him personal insight into the body’s reaction to injury and the benefits of Myotherapy in improving his sporting performance. This experience fuels his passion for helping people with a range of musculoskeletal issues and he gains great satisfaction in helping people improve their own sporting performance or their daily quality of movement. Furthermore, Alexei gained invaluable experience managing sporting injuries through his time at FC11 and the National Institute of Circus Arts (NICA). Alexei is popular with athletes of all levels as well as the general public of all ages, and is committed to helping them address any niggle, pain or issues interfering with their quality of life.